His lawyer, Benedict Morelli, told the jury during the closing argument that the trick was inherently dangerous and that Copperfield should be held partially responsible for Cox's injuries. Four years ago, lawyers estimated that Cox had spent more than $ 400,000 on medical expenses. The judges learned that in about 60 to 90 seconds stagehands with flashlights led the randomly selected participants past dark curtains. Passages to corners, outside, inside and through a MGM Grand Resort kitchen to loudly testify to the theater for the finale of the show. "I had a good time until my injury," Cox testified. He recalled that stagehands "Run! Run! Run!" Cox, 57, a former cook from Kent, England, said he fell hard on his right side and could not remember ending the illusion in November 2013. Afterwards, Cox said he was received medical treatment from paramedics and in a hospital for shoulder and other injuries. Two days later, he and his wife and lawyer returned to the MGM Grand theater and filed an accident report. 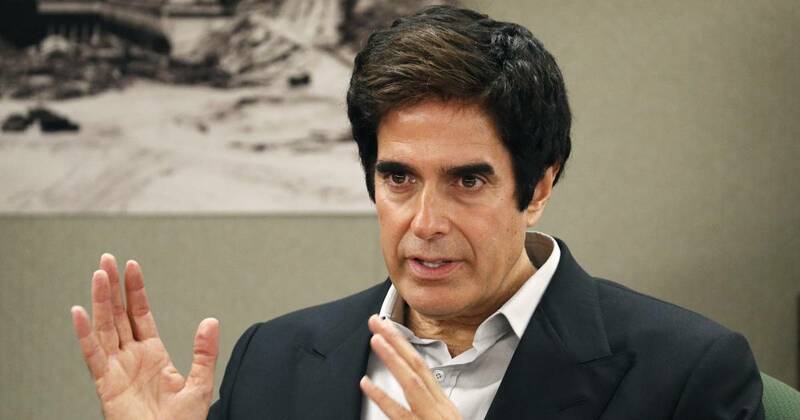 Copperfield testified that until Cox's lawsuit in August 2014 no one knew that anyone in the last 20 years had been hurt the illusion on tour and in Las Vegas. He said he stopped playing him in 2015. The wizard said he did not see any construction dust on the ground when he passed the same outside lane about 10 minutes earlier as part of another illusion. Cox's lawyers brought in three women who testified that they were injured during the illusion over the years, including a Michigan teacher who said she fell but with a bloody knee during one Copperfield performance about five months before Cox's case ended.